E16 error is a common error on DSTV which usually shows as a result of expired subscription but sometimes it shows despite active subscription. 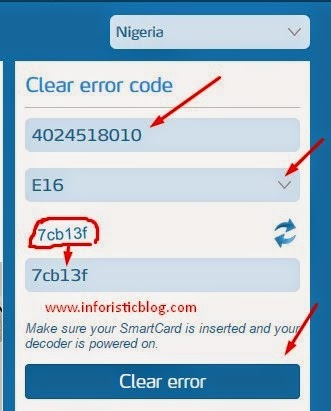 In the case of an active subscription, here's how to clear the E16 error and restore viewing on your DSTV decoder. Enter the captcha code then click "Clear Error" as seen in the screenshot below. I hope this was helpful, Don't forget to share it via any of the share buttons on this page. Your comments are highly welcomed as well.